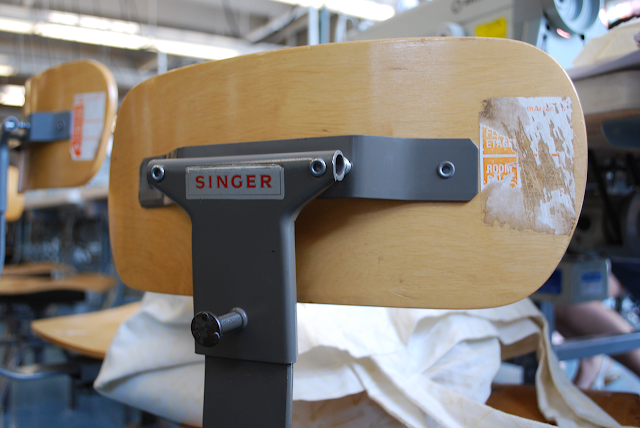 I took last week off work to take a course on industrial sewing. I thought that it would teach me techniques that would help me get better at sewing at home, and that the confidence in my increased skill would inspire me. I learned a lot, but mostly it made me wish that I could take two years to practice and to learn more and more. Those industrial machines are pretty amazing things. Of course, I kept thinking of all my parents' friends who worked in garment factories when I was little, when Toronto had such things. Those ladies made very little money (think of them when you see a Nu-Mode dress in a thrift shop). At the bottom are the half-size muslin shorts I made as the final sample. I was so discouraged and I was doubting my abilities towards the end of the course, the same old song; when I started to make the shorts, I didn't bother to be too careful. I got a good grade on them, though (90%). The shorts are tiny. I showed them to Geoff and he burst out laughing. We'll try to get them on Oreo one day. I'm sorry, not good enough... I MUST see those adorable shorts on your cat! 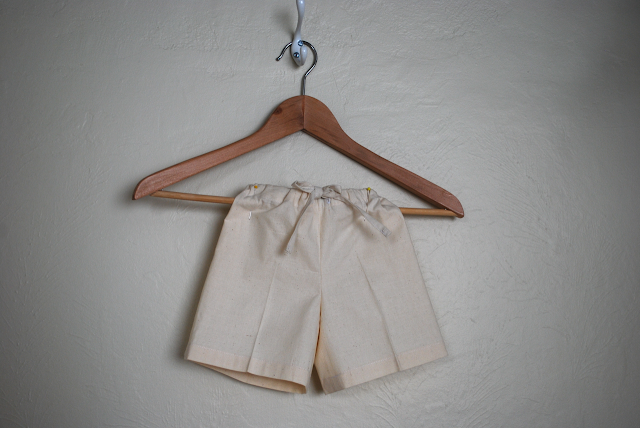 oh, i love those tiny little muslin shorts! i've been wondering how this course was. i'll admit i'm a bit frightened of industrial machines. congratulations on the 90% - that's honour roll! Weren't you scared of those big angry machines? Yikes! Also, I second Erin. I NEED to see Oreo in those shorts! That sounds like a very interesting experience! Well done with the short. 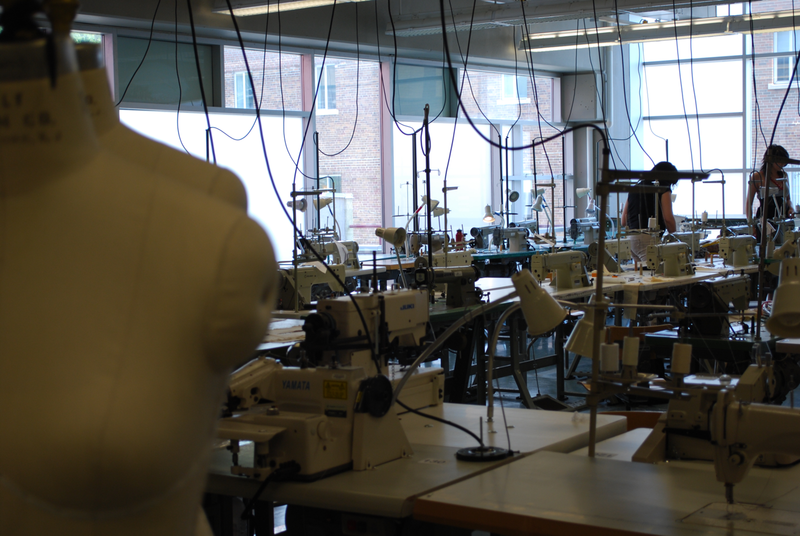 When I studied fashion, they had at school those industrial sewing machine but I have never used them as they look scary to me. What about dying this short in a cool blue or purple; like a graded color. I think it will look awesome. Again, congrats, thumbs up; you rock. Give yourself a pad on the shoulder, you deserve it. This short with wedges and a tank top and heart sunglass will look fabulous. Those shorts look great. Don't be so hard on yourself! (especially garments). But it's important to keep going, because when it all works out...Well, it's wonderful. I hope you start feeling more confidant, and I really enjoy reading about/seeing your new projects:). did you take this at george brown? john might be taking this course too! I can guess that those machines are a bit scary. Kudos for you for trying something out new! I enjoyed what Erin said above, haha. Oh Anabela... it's very lovely at fieldguided. I'm a bit jealous of this story. Amazing to hear of a girl taking a week off to jump into industrial sewing. I relate to this line you wrote: "learned a lot, but mostly made me wish I could take two years to practice and learn more and more." I feel that way about my painting some days. Your little shorts are adorable, congratulations on 90% dear girl. I'll visit this beautiful place again. I definitely felt that way about my metalworking class--if only I could take a year to practice and study, then I might make something I'm actually happy with! If only. *Love* the idea of those shorts on Oreo--making me grin at my desk. Erin: ONE DAY! Maybe come over and help. It will probably be more than a two person job. She's tough! Karyn: Oh, they're totally awesome. I think you'd love it. They have so much power! 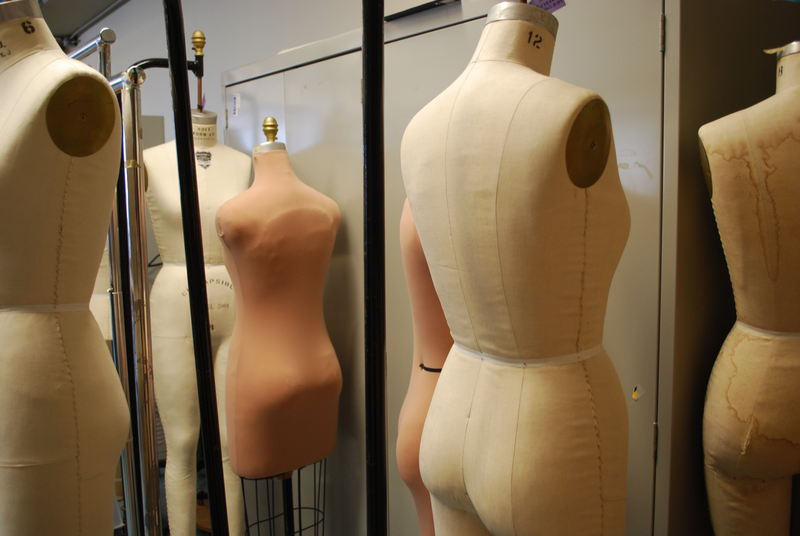 The course was pretty fun; lots of recent high school grads who want to be fashion designers. Pretty cute. April: I was a little intimidated at first but I'm a speed demon! I loved it! Now my machine seems so lightweight! Catherine: Thank you! You should try one of those machines one day, though. They're great! K.Line: Thank you. It was just a lot for one week and I guess I was overwhelmed. Elise: Thank you! I can't wait until you debut your line. Melissa: I did! I recommend it. 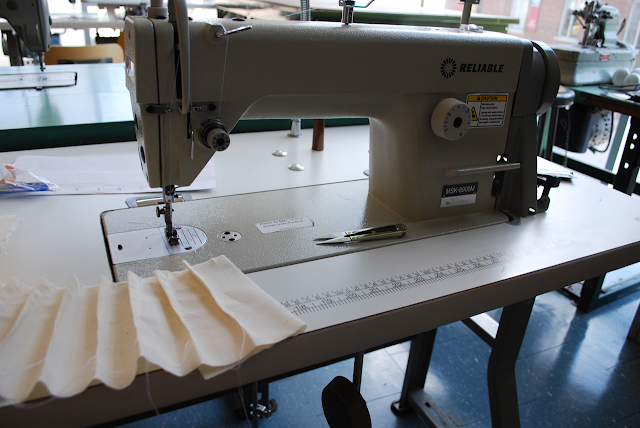 A lot of the people in the class seemed to be new to sewing and they did okay. And the people who had been sewing for a little bit learned new things. Katherine: So sweet, thank you! Heather: Oh, well, I would have preferred to take the week off to go sit by a lake somewhere, but it was still a fun way to spend the week! Like adult summer camp. Ambika: I'm sure you'll be happy again. I know I'm new to sewing and that I get discouraged all the time, but when it clicks, it feels so good. It will happen! oh! lucky you! well done, you're really pushing yourself sewing wise, it's paying dividends already! (check you and your 90%). can't wait to see Oreo's first modelling assignment! this is so cool! that's some inspiring initiative you got there! i'm going to have to see if there's anything like that class in sf. ha! way to go lady. industrial machines really are the best. i wish i could own one. i definitely agree those machines are scary! but i still want one.